You can go weeks without food but your body can only survive about 3 days without water. Before those 3 days are up, you are already going to be delirious and weak – not exactly the ideal state of being for survival! 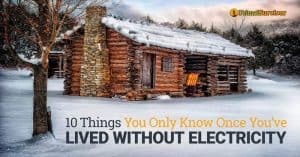 For these reasons, knowing how to obtain water is one of the most important survival skills you need to know. According to the EPA, the average American family uses about 400 gallons of water per day. That is a huge amount of water, and there is no way that you could stockpile that much water (unless you are lucky enough to have massive amounts of space). Of course, you don’t really need 100 gallons of water per person to survive. You just need about ½ gallon per day for drinking, and another 1-2 gallons per day for cooking and hygiene. But going from 100 gallons to 2 gallons per day is going to be a big change. 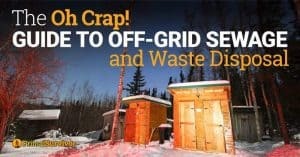 You’ll probably end up using more than you realize, and soon your precious stockpile of water will be gone. So you will need to have a way to replenish your water supply. And that is where rainwater harvesting comes in. Putting All Your Buckets and Bottles in the Rain Isn’t Going to Cut It! Think that you can just put your water bottles outside when it rains and that will replenish your stockpile? Think again! One inch of rain over a square foot (about the size of a bucket) will give you just about 0.6 gallons of water. That’s not very much water! Now expand the collection area to 50 square feet. Now you’ve got 30 gallons of water! What’s the message here? You’ve got to increase surface area to collect rainwater effectively! To harvest rainwater, you need a large flat surface to collect the rain water and funnel it into storage tanks. 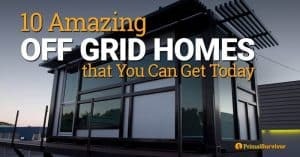 The simplest way to do this at home is to use your existing rooftop and gutters. 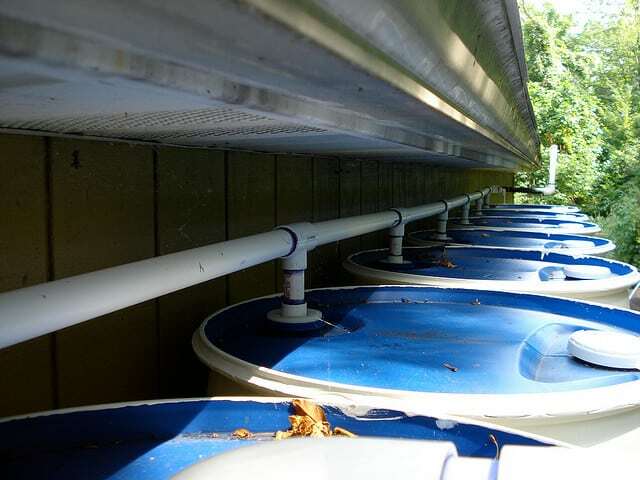 Setting up a home rainwater collection system isn’t as simple as putting some barrels under your gutters. If you’ve got a steel roof, then you could do this. It won’t work very well with asphalt shingle roofs though because too much debris gets caught up there and in the gutters. Just few leaves in your rainwater will cause it to get moldy and full of bacteria very quickly. 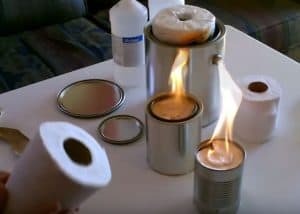 In true survival situations, this wouldn’t be such a big deal because you could just filter and boil the dirty water (you do know how to filter water for survival, right?). But why not take some preemptive steps so your rainwater is cleaner? First Flush Diverter: This system will channel away the initial rainwater. The idea is that this first rainwater will flush away all the leaves and debris on your rooftop so the rain which is collected afterwards is clean. It works by using a pipe with a cap at the end. When the pipe is full, a flapper shuts it off so any additional rainwater goes into the collection system. Rainwater Harvesting System Filters: There are many different filtration systems you can set up right in your rainwater collection system. This article goes over the different rainwater filter types, including pot filters, basket filters, cascade filters, vortex filters, and DIY filters. 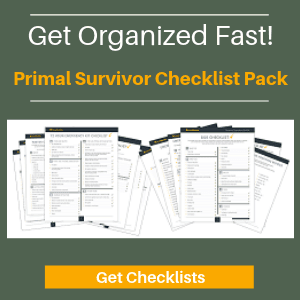 What is one of the all-time most important items to have in your survival pack? A plastic tarp. 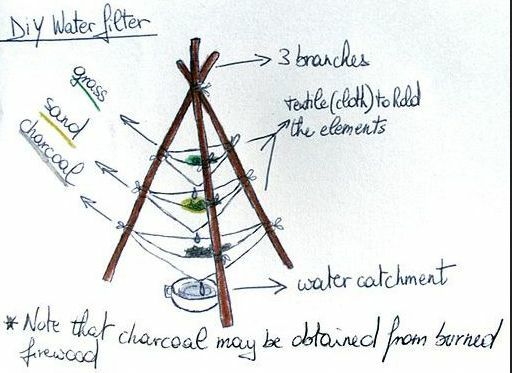 Not only can you use it to make a survival shelter, but it is fantastic for collecting rainwater in the wilderness. The most novice way of collecting rainwater with a plastic tarp is to just tie up the ends so it has a bowl shape. Then you manually pour the water into your collection buckets. There are some limitations to this method though. Like that you won’t be able to collect a lot of water unless you continuously go out into the rain to fill up your buckets. In a survival situation, I would use a more advanced setup to collect rainwater. I personally like how this rainwater collection system is setup because the tarp is serving multiple purposes at once. 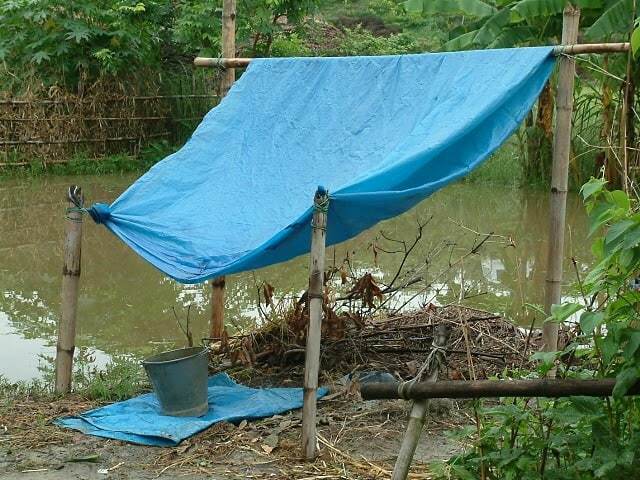 You could even use the tarp to make your survival shelter and protect you from the same rain you are collecting! Here is another cool rainwater collection setup. 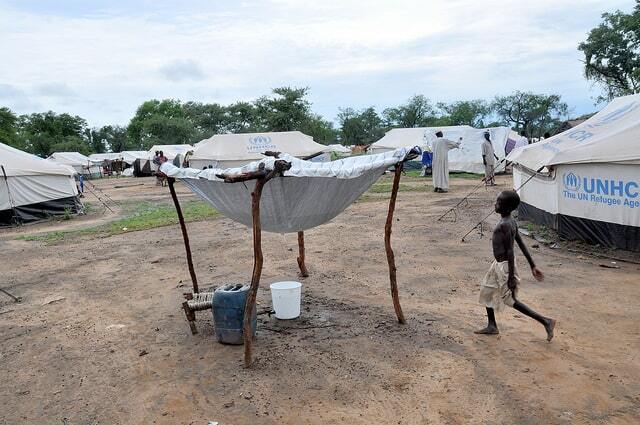 You can learn a lot from refugee camps. Caught in a wilderness survival situation and don’t have a tarp? You can still collect rainwater. Hang up some of your thicker, absorbent clothing in the rain. Once it is saturated, you can wring out the water into your pots, bottles, and whatever else you have to store it. This option is less than ideal, but would work in a pinch. You just need to dig a hole in the ground and line it with a regular plastic bag. The plastic is important or else the water will just get absorbed into the ground. The main problem with this system is that there will be a lot of dirt runoff coming into the hole too. Prevent this by making your water collection holes on an elevated surface. Once the rain stops, cover up the hole with something to prevent the collected water from evaporating. Despite what people say, rainwater isn’t 100% clean. The air is full of pollution, and your rain water probably picked up some debris during the collection process. Any smart survivalist will know to filter rainwater before drinking it. 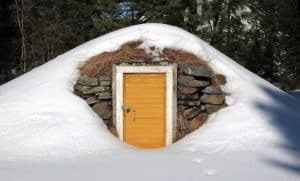 Another issue is that water can fester bacteria and mold when it sits for a long time (I doubt you will be able to completely sterilize your water storage containers completely in a survival situation!). I like the Sawyer Mini and keep it in with my survival gear. If you find yourself without a water filter, then boil the water for at least 15 minutes. That should be long enough to kill off most of the bacteria. You can also make your own cool water filter out of things you find in nature. It isn’t 100% effective, but will make the water safer to drink. 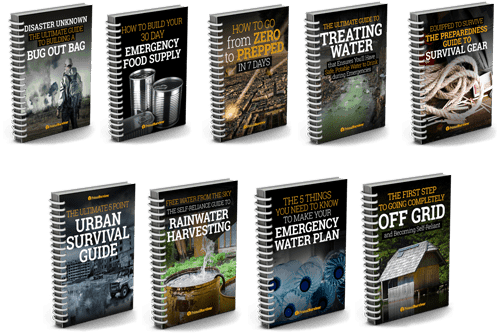 Are you stockpiling water? How much and what is your plan if it runs out? Let us know in the comments area. Propagating rain water harvesting in North Bihar (Phase II) by indiawaterportal.org (CC BY-NC-SA 2.0) Found on Flickr. Harvesting rainwater by Oxfam East Africa (CC BY-NC-SA 2.0) Found on Flickr. Rain barrel system by Chiot’s Run (CC BY-NC-SA 2.0) Found on Flickr.